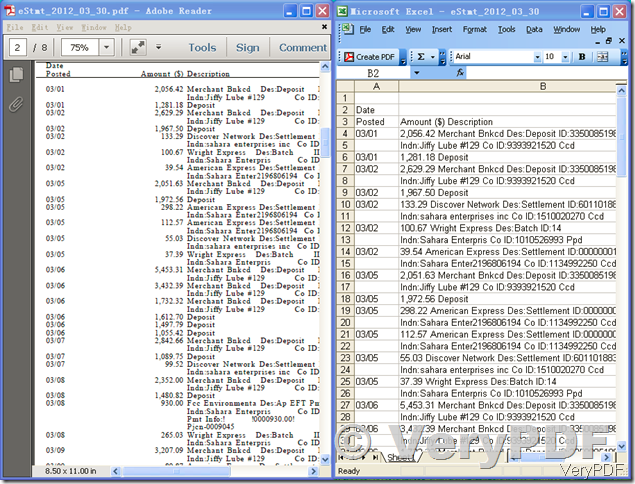 ← How to add certain information to an editable PDF file from VB6 or VB.NET program? How to fill PDF forms? 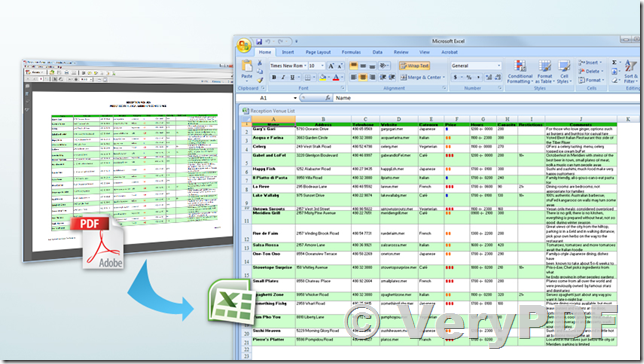 I am evaluating SDKs that allow to convert PDF to Excel and preferably PDF to CSV. Your site does not have the try version online and directed me to contact you. 1. 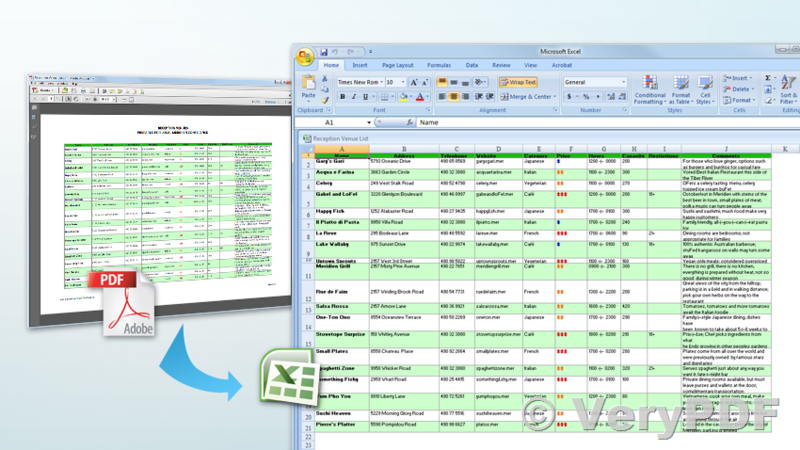 Convert plain text based PDF file to Excel Spreadsheet. 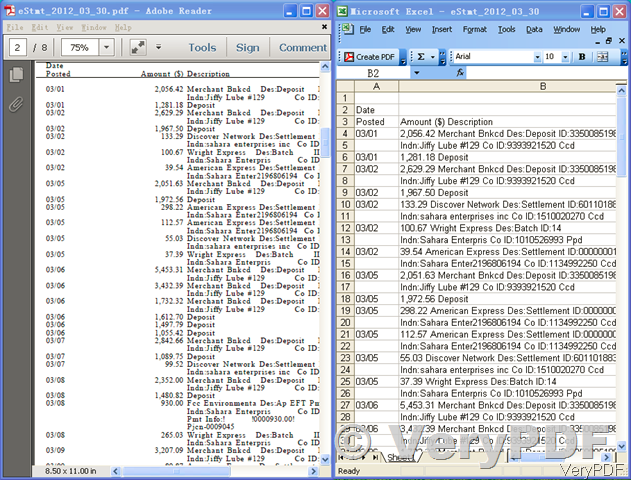 "VeryPDF PDF to Excel Converter GUI" and "PDF to Excel SDK" are based on same source code, if the GUI version works fine to you, the SDK version will work fine for you too. If you encounter any problem with above products, please feel free to let us know, we will assist you asap. This entry was posted in PDF to Excel Converter, PDF to Excel OCR Converter and tagged pdf to csv, PDF to Excel, PDF to XLS, PDF to XLSX, scanned PDF to Excel. Bookmark the permalink.